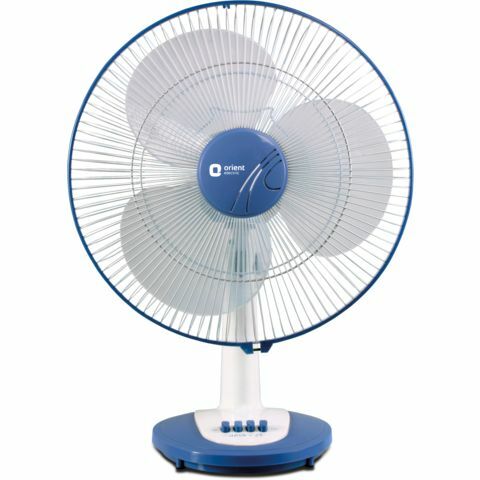 The Orient Electric Desk 25 table fan flaunts an elegant dual-colour stand and comes loaded with a range of features. 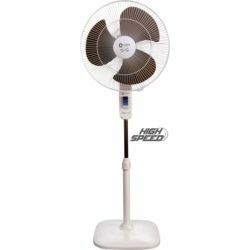 The extra powerful fan motor ensures high air thrust and delivery for your utmost comfort. Orient Electric Desk 25 fan features easy snap fit assembly, aerodynamically designed resin blades and motor protection through thermal overload protection device. 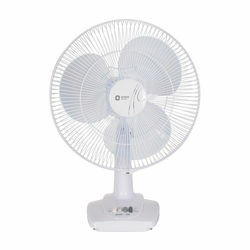 The Orient Electric Desk 25 table fan flaunts an elegant dual-colour stand and comes loaded with a range of features. 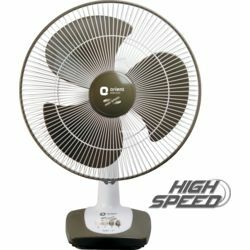 The extra powerful fan motor ensures high air thrust and delivery for your utmost comfort. 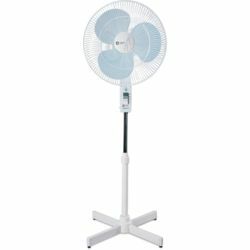 Orient Electric Desk 25 fan features easy snap fit assembly, aerodynamically designed resin blades and motor protection through thermal overload protection device.